Home warranties are necessary because they do not come with statutory consumer guarantees. If you purchase a washing machine and the electrics fail a month after installation, you will either have it repaired or replaced free of charge. If you purchase a house and the electrics fail because the entire house needs rewiring, you have to pay it yourself. What else can go wrong with a home shortly after you have moved in? A surprising amount, including plumbing issues, central heating failure and a leaking roof. Each of these can be expensive to repair, and anybody who purchases an old house without a home warranty has only themselves to blame if they find themselves with expensive repair bills. When you purchase a newly built home, the builder warranty will cover you for problems related to the structure, fixtures and fittings of your new home. However, you do not have this warranty when you purchase an old home from a seller. A home warranty is designed to offer a similar form of cover, although it is wise to check what is and is not included in the insurance policy. Home warranties are not alternatives to your homeowners insurance, which protects you from fire and other general damage to your home and contents. A home warranty insures you for specific named components of your home, such as the plumbing, electrical wiring system, heating systems and items such as garbage disposal units, dishwashers and exhaust fans. You should check the inclusions, and then state any other items in your home you want covered by the policy, such as a washer, septic tank or even roof leaks. If an item is not stated, then you will not be covered for it. You can get a good home warranty for under $400 each year. Most home warranties operate using the same procedures. Let’s say you have included your water heating system in the policy and your water comes out cold. You should first contact your insurer providing your home warranty and inform them of the problem. They will ask you for your policy number, or perhaps even just your name and address and get your details from that. You describe the nature of the problem, and then the insurer will contact a local pre-qualified firm to carry out the repair. You will be charged no more than a local service charge. Everything else will be paid for. If you had forgotten to switch the unit on, you will still pay the service charge. 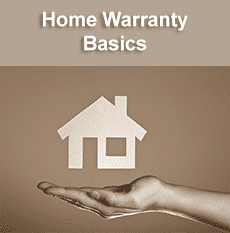 A home warranty is good to have, particularly if you have just purchased a new home. A seller will often pay for the policy and offer that as a sales incentive, and if you are selling your home the $200 – $400 is well worth the benefit. You pay for the first year, and the buyer will pay after that. Home warranties give you peace of mind that, should anything happen with the essential components of your home, you can have it quickly repaired or replaced at a very low cost to you – the service charge is usually around $100 or so.